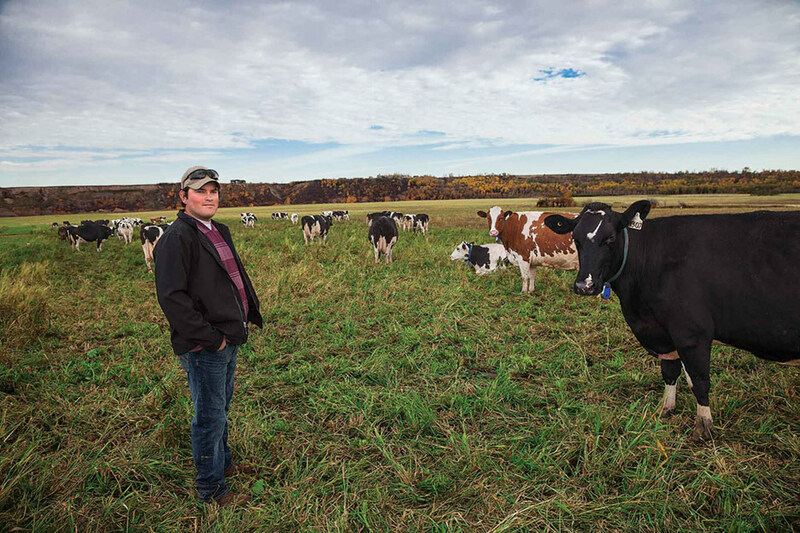 Saskatchewan dairy farmer runs parallel herds to test breeds’ profitability. Dairy farmers have been arguing about which breed is the best for as long as people have been milking cattle. Usually this quickly devolves to the mine-is-better-than-yours level and sputters out. So in 2014 Jersey Canada commissioned Elliott Currie, an associate professor in the Department of Business at the University of Guelph, to spearhead a study to see if there were solid economic reasons to pick one of the seven different dairy breeds milked in Canada over the others. Average herds. Currie and his team used aggregated data, collected by Dairy Herd Improvement (DHI), to analyze the revenue and expenses of an average herd of each breed. Standardized herd sizes were determined based on the numbers of cattle that would need to be milked to fill 198 pounds (90 kilograms) of quota: 76.89 Holsteins; 87.98 Jerseys; 100.92 Guernseys and so on. The resulting study, an “Economic Analysis of Dairy Breeds,” concluded that if you picked the best breed by its total revenue, then the Milking Shorthorn would be the best dairy breed. It earned $585,016 of income excluding the sale of cull bull calves. The Brown Swiss came in second ($546,424), the Holstein third ($544,200) and Jersey came last with $507,142 of earnings. However if you went by profitability, then it concluded that the Jersey became the clear winner. They outstripped the second place Holstein by $20,000 in profits despite having a $37,000 dollar income disadvantage. A thousand cuts. Holstein profits suffered death from a thousand cuts, Currie says. Small variations between the breeds added up to big differences in profits. Jerseys for example are bred at a younger age, so they start generating revenue 30 days before Holstein. 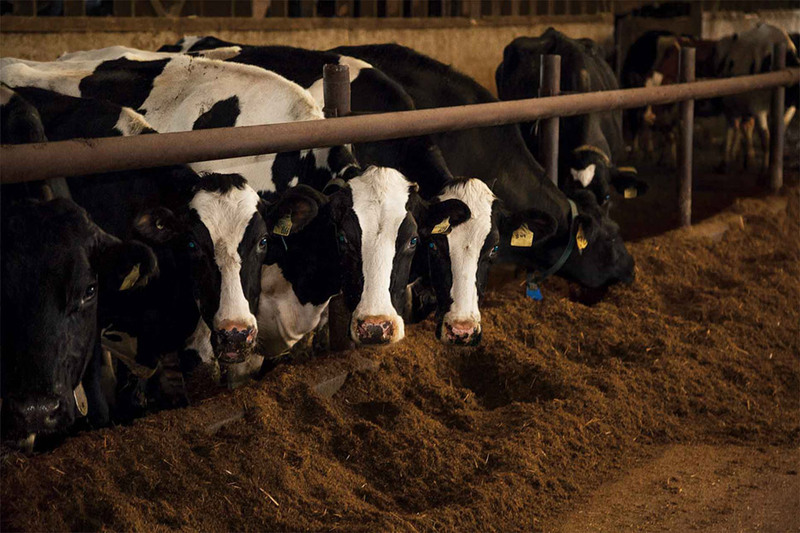 However the Jersey’s biggest input advantage is they are better at converting feed into milk. Size does matter as they are only two-thirds the size of a Holstein so they don’t need to consume as much feed to stay alive. You can download the full report at jerseycanada.com/pages/economic-analysis-of-dairy-breeds.html. Currie found that all the little things added up to negatively impact the Holstein’s profit margins. While Currie’s group compared breeds using aggregate data from across Ontario, Tom and Wendy Mufford, a dairy farming couple from Hague, Saskatchewan, wanted to know how Holstein and Jerseys would fare in a head to head test under their farm management. Tom didn’t think he could get the data he needed just by throwing a few Jerseys in with 215 Holsteins he managed along with his father. However when their application for a SaskMilk Dairy Entrant Assistance Program (DEAP) milk quota was accepted in 2015, they felt it gave them an opportunity to make a comparison. Using the Holsteins as the control group, the Muffords hope to prove that the Jersey’s reduced feed intake and higher levels of fat and protein in their milk will produce a greater net profit. This involves carefully tracking feed and production numbers from both groups. The first step in the five-year experiment though was to find a dairy facility they could rent that was close to his father’s operation. The couple has four children under the age of five so they didn’t want to put themselves or their parents in a situation that required a lot of extra work. They wound up renting the abandoned dairy barn and parlor on the farm Wendy had grown up on near Laird, Saskatchewan, 30 miles away. Startup problems. “Right now our Jersey numbers are embarrassing,” Mufford says. “We brought the cows in from Ontario so perhaps they’re still adjusting to the move. Our numbers have started to come up now that we have them on our new feed supply.” He also expects a jump when a new water filtration system is online. Mufford estimates it will take at least a full year before they’ll start to have any meaningful numbers to look at. If there is a clear financial advantage to switching to breeds, then Mufford says they’ll definitely consider converting to Jerseys when they purchase his parents’ operation. Canadian hog producers start to embrace loose sow housing.